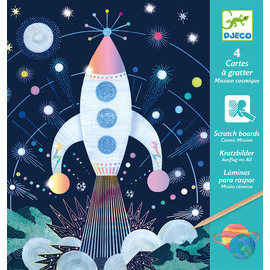 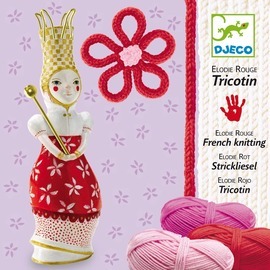 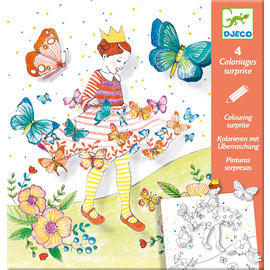 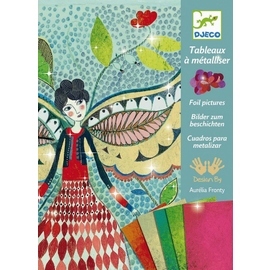 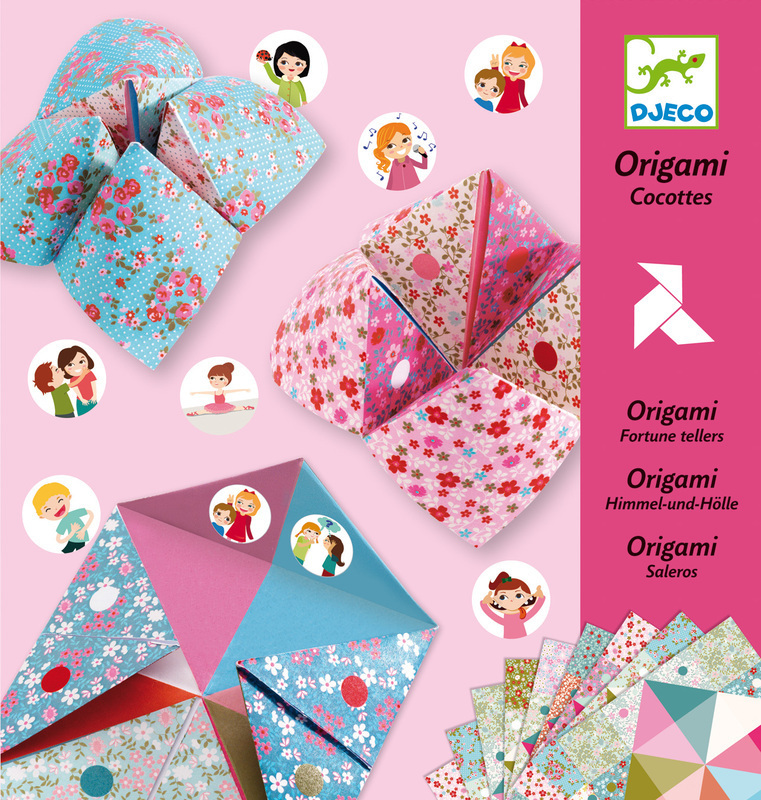 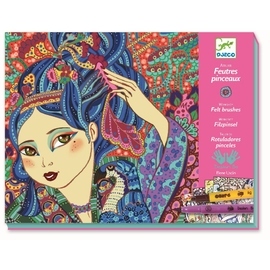 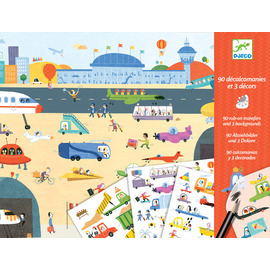 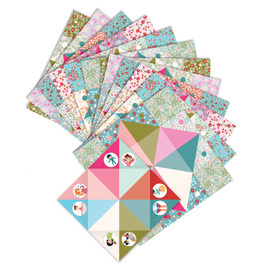 Create beautiful origami paper fortune tellers with the Djeco Origami Fortune Tellers paper craft kit. 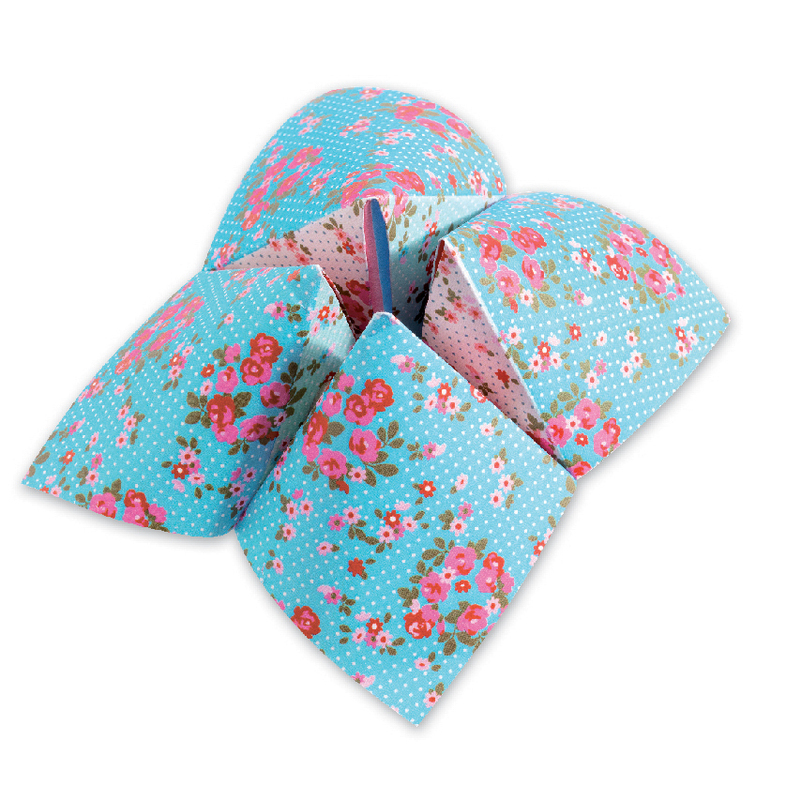 Learn the creative art of Japanese Origami paper folding using the pretty patterned paper to create cute little fortune tellers to share and play with your friends. 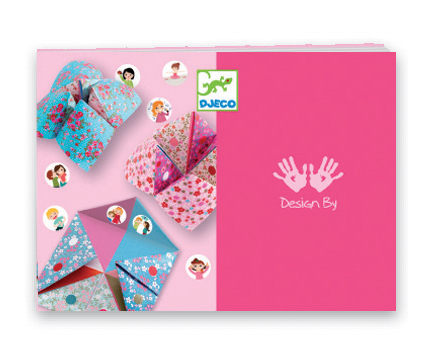 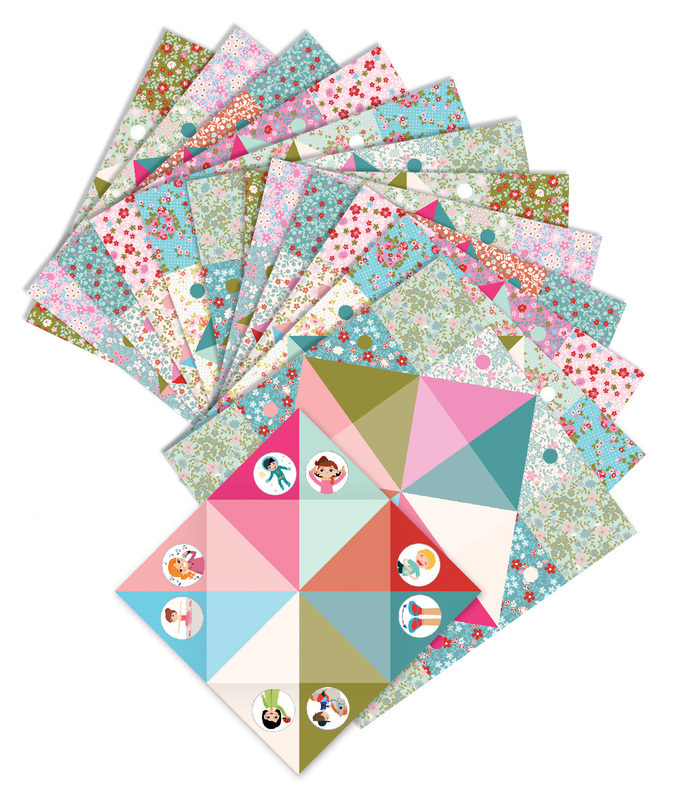 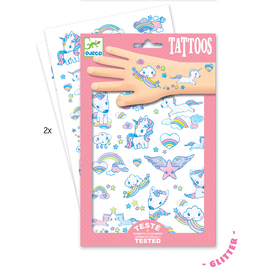 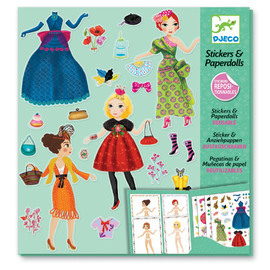 Djeco’s easy origami fortune tellers activity kit contains 24 beautifully patterned origami paper sheets in different designs and 192 assorted stickers to decorate your fortune tellers. 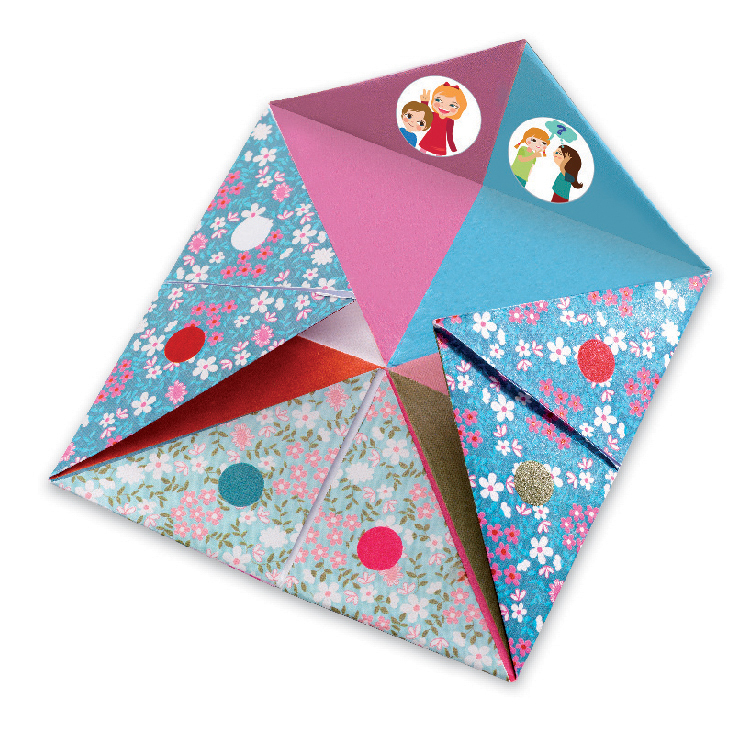 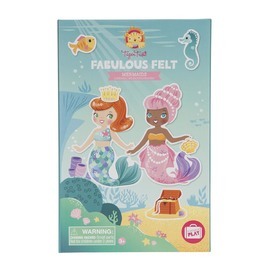 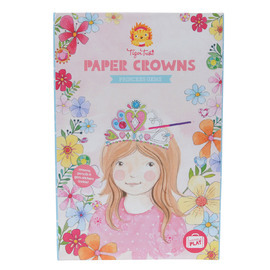 Kit also includes a full colour step by step instruction booklet with clearly explained origamifolds. 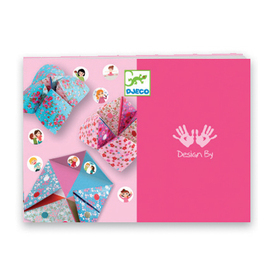 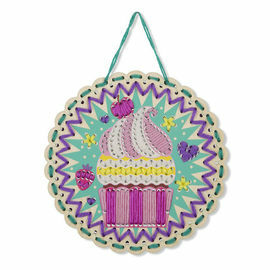 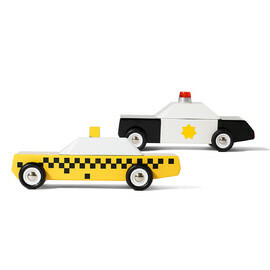 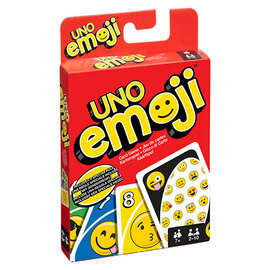 This simple paper folding kit for kids makes a fabulous gift. Origami kits are also a lightweight creative activity for travelling with kids or just for keeping the kids busy when out and about.